The Fearless Presentations® public speaking course is offered in New York City, Boston, and Philadelphia in the Northeast and New England region. Open enrollment classes for individuals and small groups are taught in major cities throughout the Northeast region. (A complete list is below.) We also offer private custom workshops and presentation coaching in any city within 500 miles of the cities listed below. We teach The Fearless Presentations ® class in the Detroit suburbs near Detroit, Michigan. 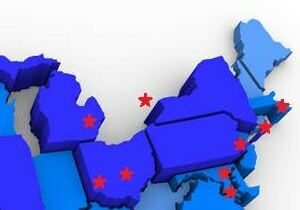 We conduct quite a few classes in Ohio cities like Cincinnati and Columbus. The Cincinnati class is held in the downtown area, and the Columbus location is near the airport. A few times a year, we hold classes in Toronto, Ontario in downtown Toronto. One of our most popular locations is New York City, and we teach every two to three months in Time Square New York, NY. Our classes in Hartford, Connecticut are held in downtown. We also teach in Boston, Massachusetts in the Boston Financial District. The Philadelphia, Pennsylvania programs are taught in in the Market Street area. In the Washington, DC and Baltimore, Maryland area, we teach classes at both Baltimore Washington International and in downtown Washington, DC. Seating is limited. For tuition and location and time details, click REGISTER above for any class.